How do you make the most of your time at an event? How do you stay organized while you’re there? 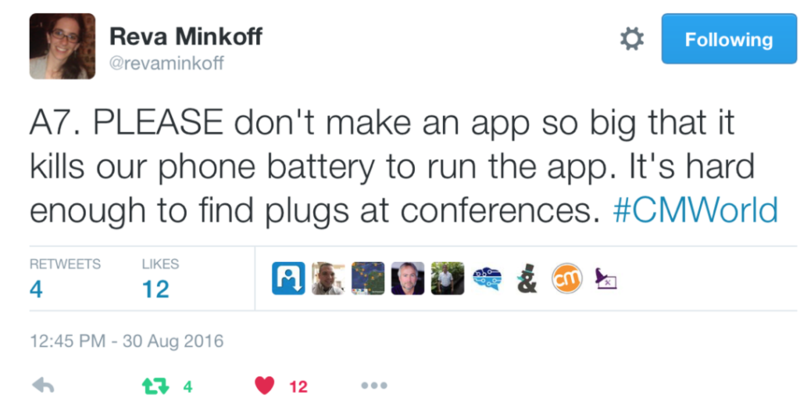 And why do conferences always push us to use their event apps? 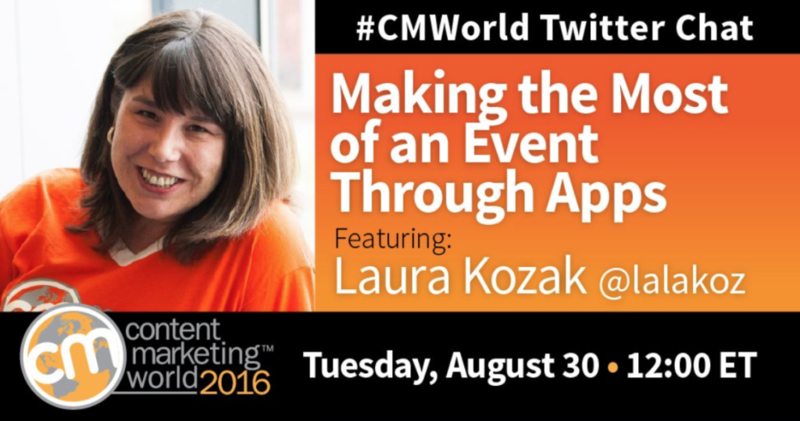 Laura Kozak, e-media manager for the Content Marketing Institute – and project manager of the #CMWorld app – joined this lively #CMWorld Twitter chat to talk about all things mobile app-related. We had fun digging into gamification and pre-event networking, too! For those of you that missed the chat, our complete transcript can be found in our Hashtracking report. Find some of the highlights below. While many conferences and events pour money into the app to make it worthwhile, the UX needs to be exceptional for attendees to use it, and the marketing of the app needs to be great so attendees know where to find it. Do you follow the hashtag on Twitter and within the app? It provides more than just tweets and key points from sessions. Networking is great, social engagement is great, but apps can be very functional and useful. If you could improve an app or your experience within it, what would you change? And for those of us that will be at CMWorld next week in Cleveland, Maureen Jann has planned an outing for our #CMWorld Twitter chat friends! There’s still time to sign up! There’s still time to register for Content Marketing World 2016! Online registration closes at 8pm ET tomorrow, Friday, September 2. Hurry! Code BLOG100 saves $100! We can’t wait to see you!